Need more uses for the power food kale? 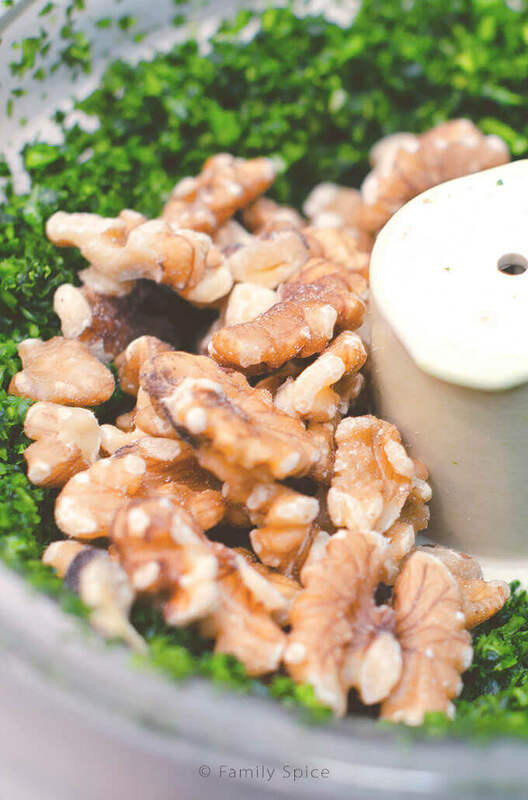 Enjoy this kale pesto with tarragon and walnuts. It’s not only good for you, but it screams spring is here! I am so thrilled that March is here! It is quickly becoming my favorite month because it means that winter is behind us, and Spring is around the corner! Our sad San Diego hills are mostly green this time of the year, as we usually have all of rain in the winter months. Flowers are blooming, trees are blooming… all of it puts a smile on my face. 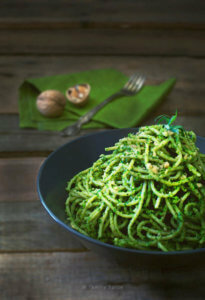 And with the month of March, we find “green” recipes everywhere, to celebrate St. Patrick’s Day. I am not Irish (not even by a drop of blood), so I usually brush it aside. I concentrate on the other green holiday in March, the Persian New Year, or Norouz – the first day of spring. Either way, it’s time to celebrate with some green-inspired recipes. I make pesto periodically, mixing in the tiniest amounts in our pasta so the kids get a mild flavor of the sauce without freaking out over the green-it-has-to-be-good-for-you-so-it-must-taste-bad color. In the past, I have made the traditional basil pesto and and branched out and made arugula pesto. My friend, Dorothy over at Shockingly Delicious, totally inspired me this week to make kale pesto. She is the kale-officianado in the blogging world! Since I met Dorothy, I now keep a bag of clean kale in my fridge all of the time. I knew I wanted some type of herb in my pesto so I added spicy fresh tarragon to the mix. And for nuts? For this healthy pesto I chose good-for-the-brain-walnuts. Add in some fresh garlic, lemon zest & juice, primo olive oil and parmesan cheese, and we were set. Nothing turns me off from pesto more than too much oil, so this pesto is on the dry side. Feel free to add more oil to your liking. Like I mentioned before, I mix in the minimal amount to the serving bowl of pasta and keep extra pesto on hand for those of us who like their pasta to go really green. And as Dorothy tells you, pesto is workhorse. Use it everywhere, on pasta, bread, eggs, salads, or anywhere you want some green goodness! 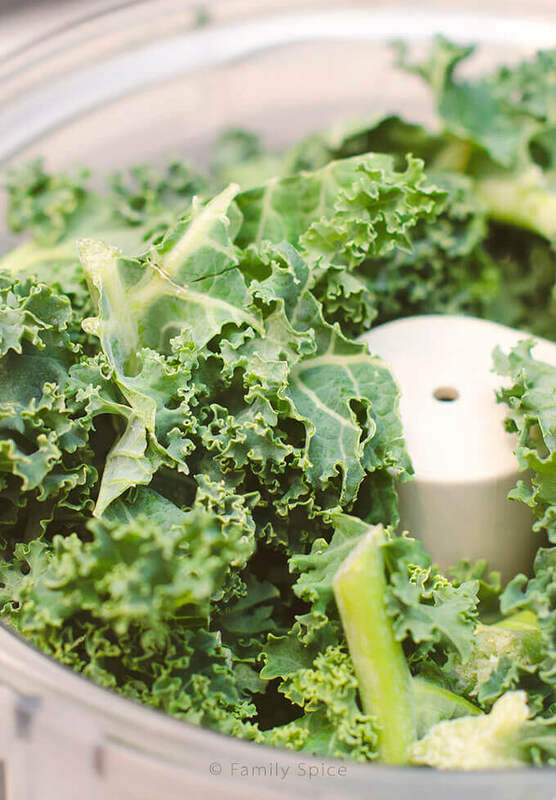 And learn all about the wonderous kale over at Shockingly Delicious. Refrigerate pesto unti ready to use. Serving Suggestions: Serve with pasta for a meal, spread on a baguette for an appetizer, or top your steak, chicken or fish as a condiment! 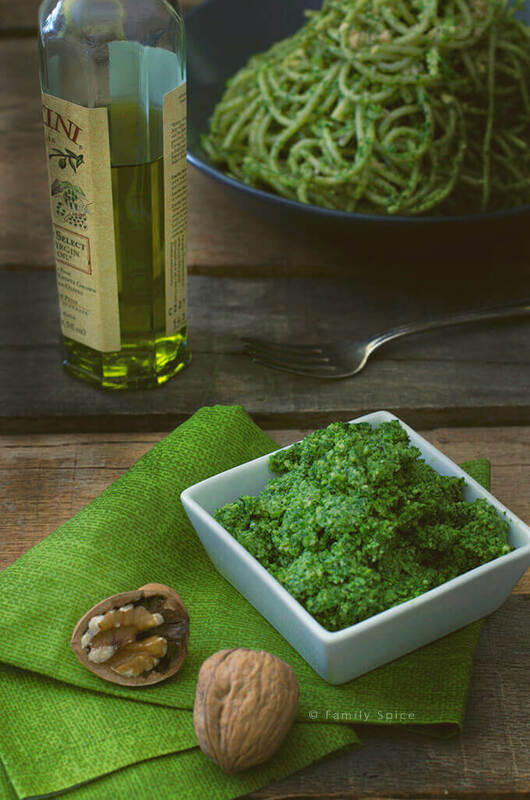 Cooking Tips: This pesto recipe calls for minimal olive oil. You can add more to your taste. Choose high quality olive oil to enhance the flavor. Disclosure: The walnuts used in this recipe were sent to me by California Walnuts. The olive oil used was given to me by the kind folks at Thermador. I was not paid to write this post. I need some kale – pronto! Gorgeous shots…Happy spring. So happy to have inspired you! Your pesto looks scrumptious, and your photography, as always, is stunning. Well done! I always want to make kale pesto! 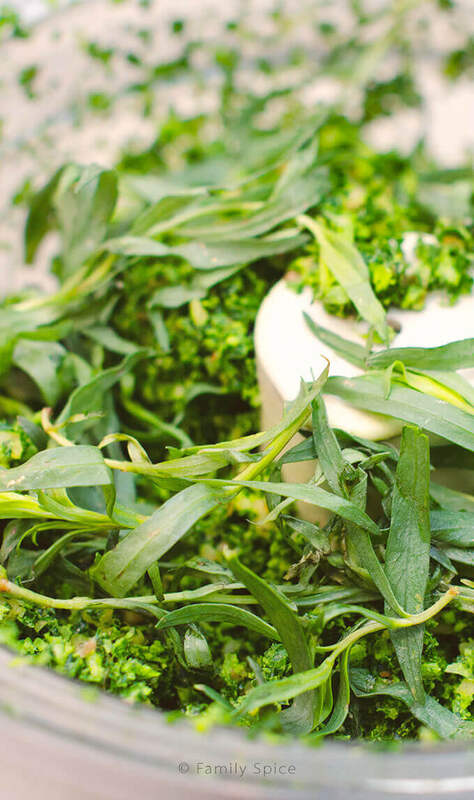 I love tarragon and it’s a nice surprise to find it in the pesto! YUM! 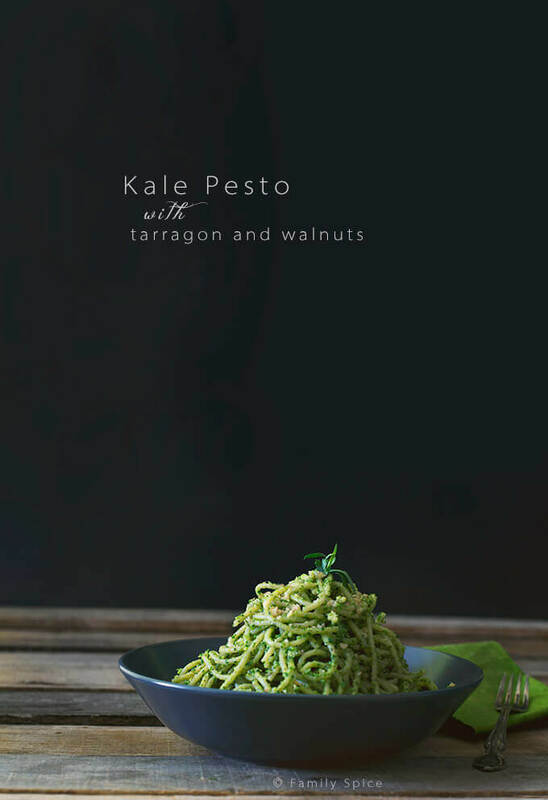 I love the idea of kale pesto – we have a favorite pesto on hand at all times and I want to sneak in spinach – and now kale – little by little. Good stuff! 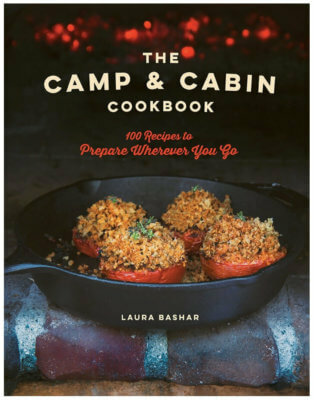 I’m always looking for new ways to use kale, and this one is a winner. It’s still pretty grey here (both the landscape and the sky) but I’m starting to see green shoots coming up – spring is definitely on its way! Good post – thanks. Looks wonderful. I was just thinking yesterday about making kale pesto — now I will! Your pesto looks so good, the color is so vibrant! Oohh! Spring finally arrived here, too! I´m so happy! And hey, the pasta looks great. Can you believe I still haven’t tried kale yet?! I know it’s so bad. But that will soon change with this gorgeous pesto here! Kale pesto is definitely something I’ve wanted to make for a while. I’m glad I found this recipe because I really like it especially for the addition of tarragon – one of my favorite herbs. It is still very much winter here…sigh. I can’t wait for it to be over. Your pasta is so gorgeous Laura! I love the twist on traditional pesto. And you’re right nothing worse than a greasy or too oily pesto. Thanks for sharing! What a pretty, vibrant dish! Love all the green! Pinning!